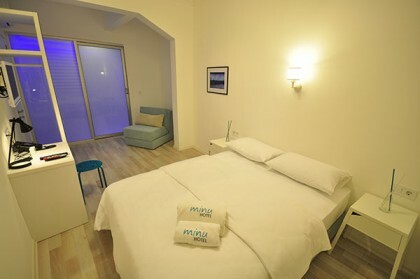 Minu Hotel is a lovingly restored building, originally a hotel in 1965 for visitors to the famous Paspatur area. 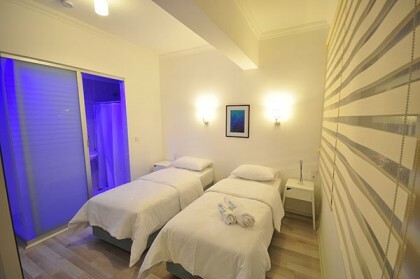 The hotel has 20 rooms of various sizes according to the individual needs of the guests as well as a tranquil social area offering complimentary tea and coffee. 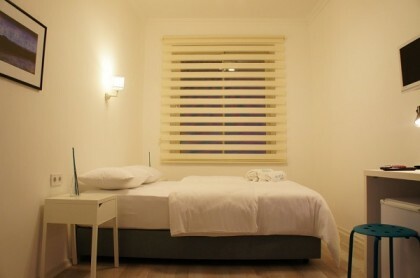 Relaxing and modern,with full size shower room.Either twin or double beds available with an especially comfortable guest bed. Minu Hotel is a lovingly restored building, originally a hotel in 1965 for visitors to the famous Paspatur area. 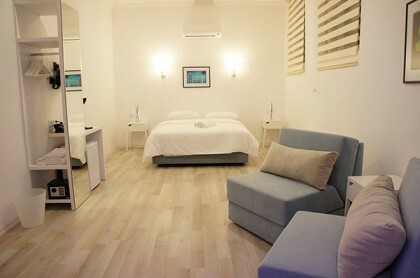 It is located in the wonderful historical ‘Old Town’ district of the ancient Mediterranean city, Fethiye. The South West coast of Turkey is a traveller’s paradise, ideal for guests to explore the historical sites, all within easy reach of the hotel. The hotel has 20 rooms of various sizes according to the individual needs of the guests as well as a tranquil social area offering complimentary tea and coffee. Accommodation includes Turkish breakfast on site.